The Elementary School paves new roads in learning and creating. The main objective of Mandoulides Schools is students’ smooth transition to the new school environment and the eventual cultivation of love towards their school. Learn: From a select, experienced and qualified faculty employing modern educational methodologies and innovative technologies. Additional hours in Greek language, Mathematics, Computer Science and foreign languages, as well as novel technologies contribute to the in-depth and multifaceted education of students. Receive: High standards of instruction in foreign languages (English, French, and German). Through special classes and programs taught by expert educators, students gain the ability to think and express themselves effortlessly in a foreign language. Distinguish themselves: By gaining distinctions in regional and national contests in Mathematics, Physics, arts, rhetorical speech and sports, as well as by earning foreign language certificates. Enroll in: Clubs, which aim at cultivating students’ individual interests and inclinations. Express themselves: Through music, theater, dance, and the arts. Participate in: European and international innovative rhetorical speech programs as well as theater and art competitions. Are sensitized to: Environmental issues, community service and volunteerism through informative events and excursions and participation as volunteers in community activities. Enrich: Their knowledge and experience in Computer Science, Mathematics, and the physical sciences through the Art & Science Days program. Broaden: Their spirit and exercise their body and soul in the after school and extracurricular classes (Mathematics, Physics, foreign languages, robotics, choir, ballet, modern dance, soccer, basketball, swimming, tennis, ski and Tae Kwon Do). Prepare: Their homework for each following day with their teacher’s help through the Daily Study Program, which is offered free of charge to students of all grades. 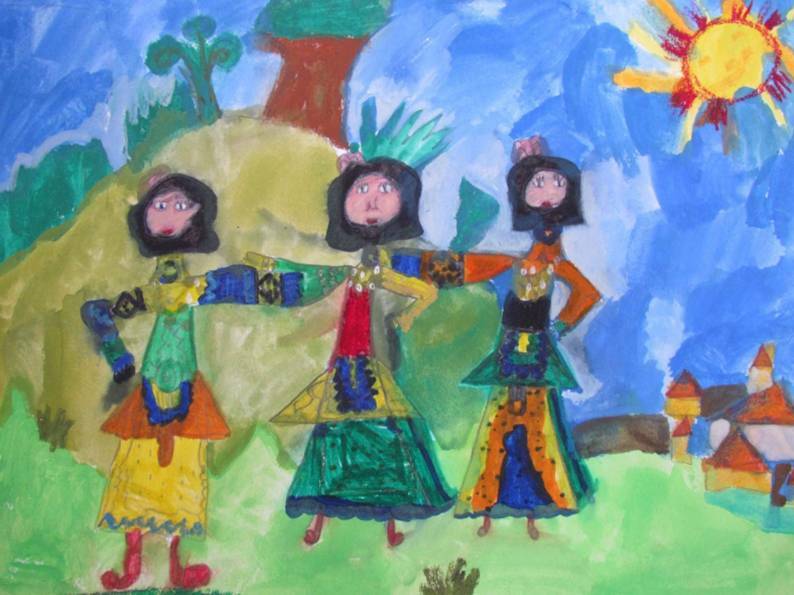 Engage: Themselves creatively in the Creative Activities Program during the Christmas, Easter, and summer breaks as well as other school holidays. Be sure to: Eat healthily and watch their dietary habits through the Eating Healthily at Mandoulides Schools program. Continue: During the summer months with summer educational and athletics programs: English & Adventure Camp, basketball, soccer, volleyball, swimming and tennis camps, Computer Epathlon & Hackathlon Camp, Mathematical Games, Let’s Talk Workshop. In the Elementary School, students learn by playing, creating, and using new technologies in a friendly, safe, and civilized environment. In Elementary School in a laboratory with computers and state-of-the-art software, we approach Information Technology and New Technologies through the UNESCO ICT Competency Framework, which sets out the necessary digital skills of the 21st century students. More specifically, our students learn to #create interactive stories, #program in educational game-based environments, #collaborate through complex projects by developing #critical thinking and # algorithmic logic skills. An international educational program that teaches programming and code writing. Students learn the basic principles and structures of programming in the Python language. 6th Graders are given the opportunity to solve problems, develop their computational thinking and program their own applications. The duration of the program is 12 weeks. 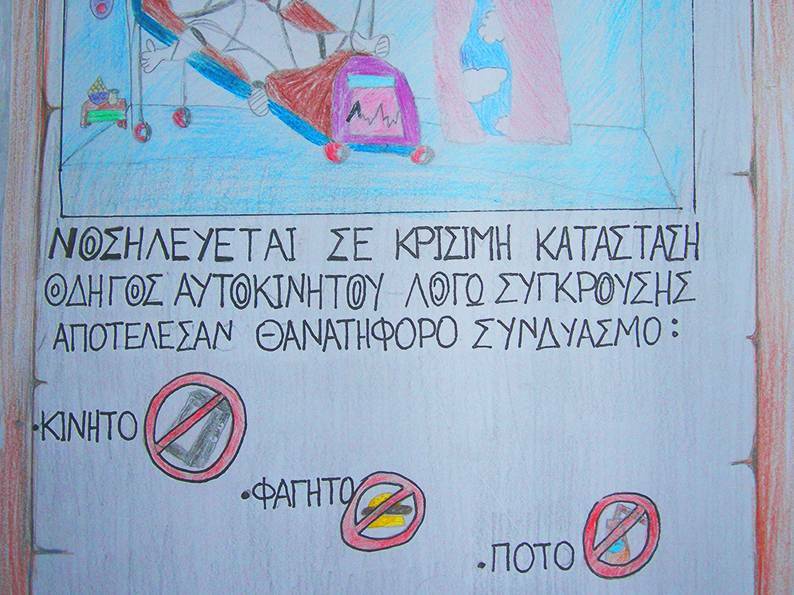 The “Train Your Young Innovator” program is a unique, innovative, pioneering programming program for elementary school students, created exclusively for the students of Mandoulides Schools, by researcher and programmer Mr. Nikos Michalakis, aka Dr Techniko. Through the program the student will participate in a computer game in which he will play the role of a secret agent. To successfully accomplish his “mission”, the student will need to use knowledge and skills related to computer programming, design technology, engineering, physics, mathematics, inventive and critical thinking. The story of the game unfolds over 6 episodes. The language of the program is English. The main objective of the program is to build three-dimensional games using the Microsoft Kodu platform. During the course, students create their own scenarios, design the world of the game and program the characters that they have incorporated into it. MinecraftEdu, a version of Minecraft designed specifically for school classes, is an open world that promotes creativity, collaboration and problem solving. Through MinecraftEdu students will be taught from science, art and even poetry! The main goal of the program is to familiarize students with science and technology in an experiential manner, through construction and experimentation, while also developing their creativity. It involves construction and programming of electronic and robotic structures, experimentation, dramatization and theatrical play, story-making, brainstorming and creative writing. Elementary school students use MIT's Scratch programming environment to build educational applications and make impressive games. Through Google’s MIT App Inventor's specially designed learning environment, students are trained to design their own Android apps for mobile phones and tablets. The Digital Storytelling program aims to inspire students to channel their creativity digitally, learning to program, design and direct interactive 3D stories, and to create virtual 3D worlds. Students are trained to use the Office suite and more specifically Word, Excel, PowerPoint, OneNote, Access, Sway and Windows. At the end of their studies from Elementary School, students can take certification exams in these modules. The teaching of English is part of the Elementary School curriculum from the 1st grade. Daily instruction, enriched with songs, stories, drama and games in English. New technologies lessons for the 1st and 2nd grade. Participation in foreign language competitions. Participation in After School Bilingual courses for bilingual children and After School Link. This is an English language rhetorical speech tournament organized by the Schools, in which 6th grade students from Mandoulides Schools as well as other public and private schools participate. Develop their skills in Debate. Discuss their views on current events in Group Discussion. Read a short literary text - dramatic or comic - of their choice in an expressive way in Oral Interpretation of Literature. French and German are taught as a second language in the 4th, 5th, and 6th grades. Learn basic grammar and syntax. Cultivate the ability to speak and write with songs, stories and dramatization. During the program, children have the opportunity to eat in a place that meets all the requirements of hygiene and safety, to work creatively or to do their homework. Children also have the option to stay in the school until 17:00, in which case parents need to pick up their children. Learn by nurturing inclinations and interests. Read, tell and dramatize favorite tales. Get to know their city, their country and the world through online games and activities. Play with nature and physics. Learn to love mathematics through smart math games. Learn by supervised surfing of the Internet. Participate in sports, dance, play and sing. The "Maps, Compass....Here we go!" program aims to bring students into contact with other places, other traditions and cultures. The program culminates in a school geography contest, in which representatives of each class try to win first place, using all the knowledge gained during the program. I work, I feel, I count...I sharpen my mind! Is it possible, really, to learn mathematical operations without problems and without hand-outs, books, and notebooks? The goal of this program is the experiential approach of mathematics through original and group projects inside and outside the classroom. Students are divided into groups, and with their worksheets, knowledge, and the necessary instruments, add an original "mathematical note" to their school life. The program focuses on issues of behavior, ethics and successful emotional management. Through systematic contact with literary texts, the program seeks to develop team spirit, cultivate values and ideals, teach respect for school rules and ultimately prepare healthy citizens for tomorrow’s society. 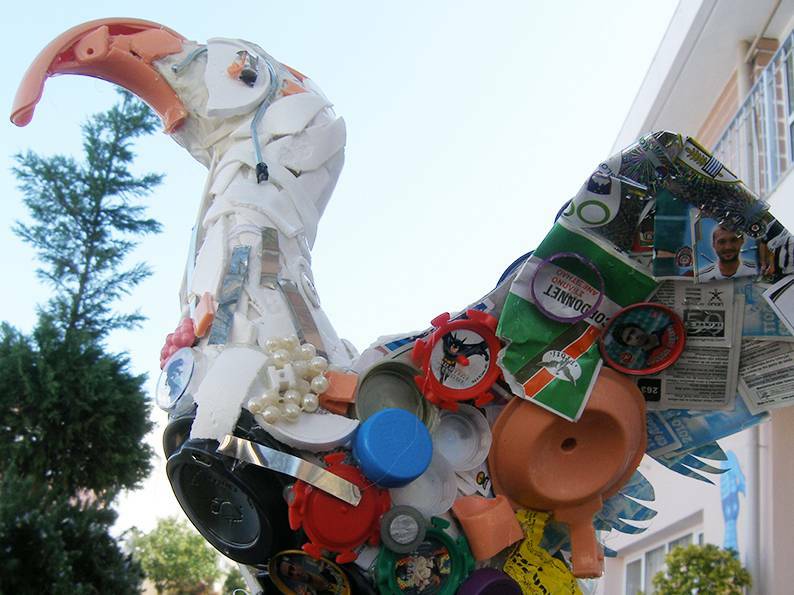 The program aims to cultivate a positive attitude and behavior towards museums. Students take the role of young archaeologists. By visiting the museum and studying the historical period to which the contents of the museum relate, they participate in an educational program, undertake projects, both group and individual, and, finally, speak with experts. The paper boat sails away...! Students - as young seamen - follow the path of paper in space and time. In the last phase of the program they are entertained with games based on paper - crosswords, puzzles, acronyms. The program ends with papermaking workshops set up in the school yard. Create a problem and ... I'll solve it in a minute! Who said that mathematical problems are only created by teachers? Children take a leading role in the lesson, they act like mathematicians and create problems, initially simple and then more complex, on the basis of various mathematical situations. In this way, students become familiar with the structure of a problem, its data, its demands and its limitations. In this way they improve their thinking and problem-solving skills through their active participation in such activities. As part of the program " Getting to know my city", the students of 4th Grade come into contact with important aspects of the local history of Thessaloniki. The main parts of the program are: a visit to the White Tower, a tour of the Archaeological Museum of Thessaloniki, a tour of the main sights of the city on the cultural OASTH bus line and a participation in a special program of the NOUS Institute of Digital Learning and Communication. As part of the program “Acropolis: a star that shines throughout the centuries”, the students of 4th Grade come into contact with the most significant creations of Athenian democracy. In fact, they work in groups during IT classes and prepare PowerPoint projects which they present to their classmates. Our school participates in the European action Teachers4Europe. In its context, students get to know Europe and the European Union through activities that are part of the Teachers4Europe program. These are experiential activities that enhance collaborative learning, embodied learning and use of ICT. The action enables students to define the concepts of the European Union and the European citizen, to ponder over the importance of its creation, to support their rights and to work together in harmony. 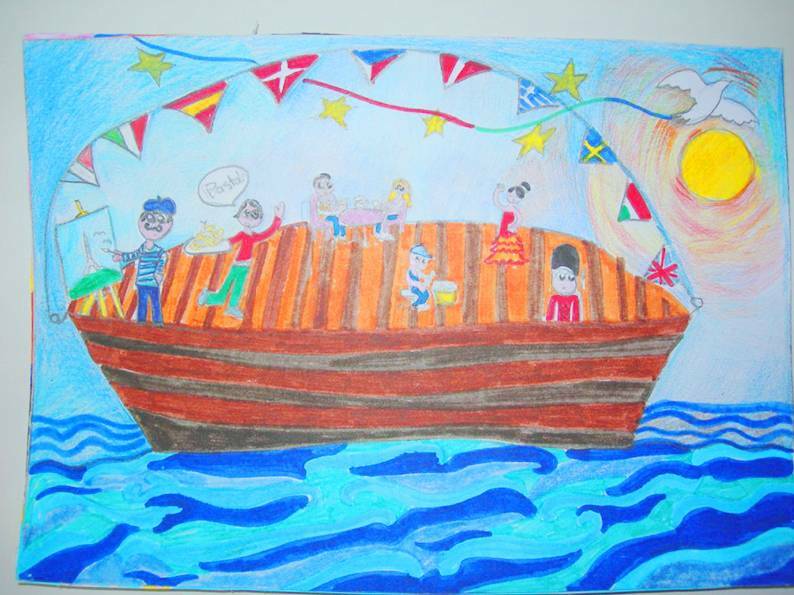 Elementary school students have the opportunity to participate in the European eTwinning action. As part of the eTwinning project, our school works with schools from other European countries so that our students can gain pedagogical, social and cultural benefits. Students are thus able to accept diversity, respect the culture and religion of other countries, become aware of global issues such as environmental pollution, play the international educational game Mystery Skype and chat in real time with students from other European countries. The UK, Italy, Spain, Romania, Lithuania, France, Poland and Bulgaria are some of the co-operating countries. The new innovative program of the Schools aims to help students find solutions to real world problems by combining concepts and methods from the fields of STREAM (Science, Technology, Reading, Engineering, Art & Maths). Through properly organized projects for all grades of elementary school, students find answers to their questions and discover the scientific truth on their own, using their senses and logic. Impressive experiments with everyday materials, beautiful crafts and original worksheets will be their luggage in this journey through knowledge and creativity. Thus, knowledge acquires a real meaning for children, since it is gained in a playful way and has a direct connection to their own lives. Within the framework of the Bookmates program, Elementary School students have the opportunity to become acquainted with books, authors, and illustrators of a publishing house during the school year. In this way, books become a game, joy, knowledge, communication, an act of creation. 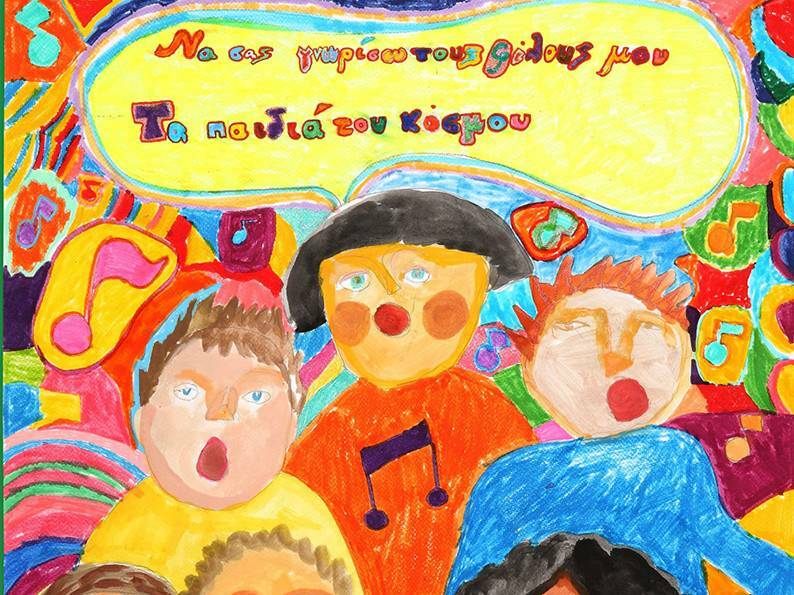 The program caters to 2nd - 6th grade students of Mandoulides Schools and other schools of the city, public and private. Its main aim is to bring children closer to the world of Computer Science, Physics, Chemistry, Biology, Astronomy and the arts. Fitness, orientation in space, neuromuscular coordination. Track and field: sprinting, long jump, ball throwing, javelin training. Basic principles of soccer, basketball, tennis, volleyball, hockey and badminton. Internal group and individual sports championships. English dramatic rhetorical speech (Let's Talk Tournament). The experiential approach to the world of music through games, drama, visual works, and learning the glockenspiel. The acquisition of sufficient knowledge for those children wishing to continue their musical studies. 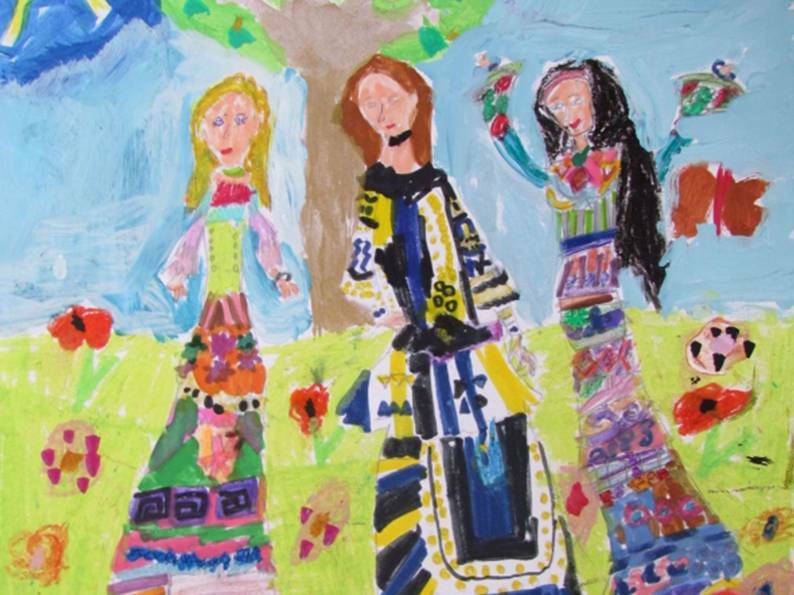 Mandoulides Schools, out of love and respect for Greek Tradition, have established the Traditional Dance Festival. By teaching traditional dances, we help students understand the value of tradition and keep alive the elements that characterize us and unite us as a nation: our origins, our ancestry and our customs. The course of arts is an integral part of the educational process and is central to the aesthetic culture of children of this age. The approach of famous artists’ works and trends of their times. Activating the imagination of students through games and activities. Familiarizing students with materials and techniques. The externalization of thoughts and emotions through various artistic media. Through the joy of group singing, students get to know traditional songs and rhythms of our country and other countries. The children present their program at various events of the Schools accompanying their songs with percussion instruments.